The Teaching Musician is a flexible and vocational postgraduate programme designed for experienced music educators. An intergenerational conference with expert presenters to share practice, inspire new work and explore current opportunities. Are you a creative,entrepreneurial person who wants to build a brand new business to improve the quality of later life? Join our 9-month, full-time programme in London starting 30th September to help you find your Co-Founder, develop an innovative and highly scalable solution and build a business which can address the needs of millions of older people across the developed world. Voluntary Arts is hosting three afternoon workshops in Birmingham, London and Plymouth to support Age UK staff/members raise their knowledge/skills in how to use the media and reach out to new audiences locally. Would you value the opportunity to shadow experienced cultural practitioners working with older people with significant barriers to creative engagement? 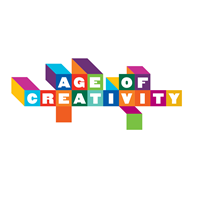 We are running a one off workshop in Rotherham (North West) on 29th March 2019 with a group of older people, as part of a wider project linked to the Age of Creativity Festival. The session will be fun, inspiring and responsive to the needs of the group who have little opportunity to take part in local creative activities. We are keen to support other local creatives who are keen to develop their practice and build confidence in working with older people as part of their continued professional development. The Taking Turns dance theatre project is attracting men and women spanning the 50s to their 80s to weekly workshops to: feel invigorated, make new friends whilst building mobility, well being, and confidence in creative movement exercises to improve mobility, well being, and confidence. Taking Turns is moving to music, meditation and making performance for mind-body and community health. Would you value the opportunity to shadow experienced cultural practitioners working with older people with significant barriers to creative engagement? We are running a one off workshop in Rochester (Kent) on 14th March 2019 with a group of older people living with dementia and their carers, as part of a wider project linked to the Age of Creativity Festival. The session will be fun, inspiring and responsive to the needs of the group who have little opportunity to take part in local creative activities. We are keen to support other local creatives who are keen to develop their practice and build confidence in working with older people as part of their continued professional development. Opportunity for Artists: Early-Mid Stage Dementia Training for Art Practitioners Monday 10th December 2018, 9am-4pm The King’s Centre, King Street, Norwich NR1 1PH This session provides an introduction to dementia, explores effective ways of reducing challenges faced by professionals and carers and how best to involve people living with dementia in creative activities. Price to attend is £40 Refreshments during breaks are included, although lunch will NOT be provided. However, there is a café onsite selling snacks and light lunches. To book, please email julie@creativeartseast.co.uk or call 01953 713390 for more information. Please note spaces are limited. This early-stage dementia awareness session will be delivered for Arts 4 Dementia (A4D) by Dementia Pathfinders trainer Aubrey Maasdorp, with arts workshop guidance from Imelda Dooley Hunter, A4D. The aim is to give arts facilitators greater understanding, increased skills and confidence in communicating and working creatively with people experiencing the early stages of dementia and their carers, and to help organisations work towards reaching new audiences, making their institutions more inclusive, and increasing their impact in the community. As a recently established dementia friendly institution, the University of Suffolk are delighted to invite you to attend an Economic and Social Research Council (ESRC) funded day of dementia and the arts. The event will take place on Saturday 10th November and will run from 9.30 am - 3.00 pm. Creating a society that supports and includes those of us who are living with a dementia is a major challenge - and opportunity. In this course you will discover how the arts can create a common ground between people, and in doing so, learn what we can all do to improve the quality of life and care for people living with different dementias. Each of the four weeks will showcase current best practice, explain the limits of our current understanding, and set ambitious goals for enhancing the lives of anyone affected by one of these conditions. We can’t all get to the gallery … Created by City Arts (Nottingham), Armchair Gallery is a forthcoming app for iOS and Android. The app brings world-class art and culture into the home and is designed specifically for older people. We are offering training led by experienced artist Claire Ford across England in September/October 2018. The training provides a first look at the Armchair Gallery app. You’ll learn how to run creative art sessions for older people, including people living with dementia, using the app as part of our specially devised workshop model. We are looking for volunteers to help us run our Creative Elders Programme - made of weekly theatre-making workshops in 6 sheltered housing units in Southwark where residents are encouraged to share stories and anecdotes, to move, laugh, play and connect. Creative Arts and Dementia Network (CDAN) is working with MHA on a programme of creative arts that builds on and extends MHA's outstanding Music Therapy Service. Alongside this,CDAN are running their successful FLOURISH professional development programme for arts practitioners who want to learn how to work effectively with people with dementia. The DIPLOMA IN LEADING DANCE FOR OLDER PEOPLE is a Level 3 OCNLR Course covering 13 accredited units over six weekends (one weekend a month for 6 months). Now booking for its sixth year, this hugely successful course will begin again in October 2018. This library of educational videos is designed to serve as a toolbox to dance artists and activities co-ordinators when planning activities with older adults. 19th June The course is designed for people working at any level in arts, charity and public sector services and provides a practical framework and skill-set to develop effective and genuine interpersonal connections. The training includes numerous workshops on the ABCDEs of the Relational Approach. These are aimed at illustrating and embedding the theoretical material, as well as developing participants' self-awareness and awareness of others. Exercises include skills building in active-listening and understanding body language, as well as exploring how relationship dynamics are formed and developed. Repertoire is a key ingredient necessary for the provision of musical interaction. During this session, we will explore the common repertoire of songs that ‘everyone knows’ along with some more interactive songs that allow for the improvised celebration of music-makers. Participants will leave with more confidence to lead sessions and deeper understanding of how to create rapport with the people they support. Our MSc in Creative Arts and Mental Health asks you to reflect critically on the ways in which art and performance can be used to investigate and to engage the public with experiences of mental health and the mental health system. Age UK London invite you to: Free Age Awareness Workshop as part of their Age Allies Programme 31st May 2018 Building on the success of our recent workshops we are offering another opportunity to participate. We are all ageist! You, me, everyone. We are constantly bombarded with negative messages about age and have been our whole lives. These messages coalesce into stereotypes and unconscious attitudes that we ourselves will begin to embody as we age. Creative Befrienders was developed in response to the recognition by the Westminster Memory Service of a number of former artists who would benefit from tailored, expert support in their dementia. We now run the project across the three boroughs and have an ever-increasing pool of artist volunteers who work with people in their own homes. The European Reminiscence Network announces a new Training Course and Apprenticeship Scheme in Reminiscence Arts in Dementia Care - in partnership with the University of Greenwich. This training course and apprenticeship scheme will be of interest to arts practitioners, community arts workers, occupational and arts therapists, group workers, reminiscence practitioners, staff from health and social care services who are interested and/or experienced in positive approaches to dementia care. Course from 17 October Applications from 1 June This popular part-time course introduces participants to key factors in working with visual art in a wide variety of therapeutic and health contexts, focusing on broad mental health issues. Students will gain an awareness of the uses and value of Art Therapy along with a general understanding of the theory which underpins it. Every third minute in the UK someone will begin living with dementia. This season at West Yorkshire Playhouse we’re presenting a brand new festival of theatre, dementia and hope, the first of its kind. Curated by people living with dementia, Every Third Minute features an outstanding programme of theatre, performance, training and workshops exploring new ways of looking at dementia. Age Allies is a new Programme, funded by the City Bridge Trust, that provides FREE Age Awareness Workshops to organisations and businesses across London. The three hour workshops have been developed in collaboration with older Londoners and are designed to help participants identify their own unconscious attitudes and assumptions about older people. They use a series of interactive exercises which are co-facilitated by older volunteers. 1st March in Leeds. The biennial Celebrating Age Sharing Seminars are an opportunity to share learning, insights and practical recommendations for age-friendly working, as well as meet cultural professionals working towards age inclusivity in a wide variety of contexts across the country. London Transport Museum, Covent Garden Monday, 29 January 2018 10am - 5pm Arts 4 Dementia warmly invites arts organisations learning managers, facilitators, artists and healthcare professionals to book a place on our upcoming Early Stage Dementia Awareness training at the London Transport Museum. This early-stage dementia awareness session for artists, arts facilitators and healthcare professionals will be delivered for Arts 4 Dementia (A4D) by a Dementia Pathfinders trainer Aubrey Maasdorp, with arts workshop guidance from Nigel Franklin (CEO, A4D).Visit https://arts4dementia49.eventbrite.co.uk to book. Saturday 14 April 2018, 9.30am – 7.00pm and Sunday 15 April 2018 Get an insight into how to structure dance classes for people living with Parkinson’s, as well as the artistic imperative behind a Parkinson’s dance programme. A two-day workshop at Yorkshire Dance, Leeds Saturday 14 April 2018, 9.30am – 7.00pm and Sunday 15 April 2018, 9.30am – 5.00pm (plus an optional class from 8.30am) Course leaders: Dr. Sophia Hulbert and visiting artists from English National Ballet. Presented by Dance for Parkinson’s Partnership UK and People Dancing, in partnership with Yorkshire Dance. Get an insight into how to structure dance classes for people living with Parkinson’s, as well as the artistic imperative behind a Parkinson’s dance programme. Dance Transports is an exciting regional training programme for Yorkshire which offers teachers, dance artists and those involved in the delivery of dance an opportunity to work alongside professional dance companies and gain valuable insights and training. The Certificate: The Practice of Music Making (CPMM), is a unique one-year distance learning programme developed by Trinity Laban, in partnership with the Open University. This well-established 6-day training developed by Dr. Rod Paton at the University of Chichester has now been running for ten years. Trainees have included community musicians, counsellors, therapists, teachers, health care workers, social workers artists, dancers and managers. It is suitable for anyone whatever your level of musical training. The training will equip you to use the Lifemusic Method within your workplace or as a self-standing creative and musical healing practice. In early 2015 I was awarded a Fellowship from the Winston Churchill Memorial Trust and in Autumn 2015 I travelled to North America where I spent 6 weeks looking at the value of creative expression for elders. During my trip, I visited 6 cities and 24 art-based programmes for older adults and/or people with dementia. This report covers where I went and what I saw and the key findings from each of my four areas of research: Storytelling & Poetry, Intergenerational Programmes, Museum & Gallery Programmes & Visual Arts. It also explores the factors I believe organisations who undertake creative work with elders should be aware of and how participation in the arts can positively enhance the lives of older adults. The Global Brain Health Institute (GBHI) is looking for artists from all disciplines—musicians, actors, writers, dancers, filmmakers, visual artists—who are passionate about making a social impact through their art to help people understand and care about brain health. The Atlantic Fellows for Equity in Brain Health at GBHI is a multi-professional training program dedicated to improving brain health and reducing the impact of dementia worldwide by developing, supporting, and empowering a new generation of leaders. Artists are the great communicators and connectors of our society. By telling the stories of patients, caregivers, and doctors—or by helping them tell their own stories—artists can inspire change on a personal level and help alter the narrative around aging and dementia. We need artists to be ambassadors of brain health and to help communicate more effectively the realities of dementia and what can be done to prevent it. Thursday 14 September 2017, 2pm – 4.30pm School of Arts (Jarman Building), University of Kent, Canterbury, CT2 7UG FREE but please book online www.movingmemorydance.com Do you work with older people in a day-care, residential or community setting? Would you be interested in finding out more about how dance and creative movement contributes enormously to the health and well-being of older people? Moving Memory Dance Theatre Company would like to invite you to a special demonstration and workshop on Thursday 14th September at the University of Kent, Canterbury. Aim This one-day course will introduce participants to the use of Circle Dance in Dementia, and provide them with the necessary skills and knowledge to deliver circle dance sessions in their own settings. The course is suitable for practitioners who work with people with dementia in group settings, such as care staff, activity coordinators, occupational therapists, physiotherapists, community dance practitioners, community musicians, exercise instructors, day centre workers and volunteers who are based in settings with people with dementia. Living the Drama is a not for profit theatre company, based in Oxford. We produce professional theatre, hold playwriting courses for older people, and now funded by Arts Council England, we have created an outreach project taking theatre to eight Residential and Care Homes in Oxfordshire. This joyful experience taught us many lessons, not least is never assume older people especially those with dementia are unable to enjoy live theatre. We all had a ball! The full article gives more detail and we're happy to share our experience with anyone interested in Theatre for Care Homes. 'Daringly Able' is a documentary film about care home life, interspersed with stop frame animations created by staff and residents which celebrate their expertise and interests. The film illustrates how we express ourselves through our skills, and how inherent they are to sense of self. Daringly Able reveals how creative activities have a positive impact on the mental health and wellbeing of care staff, residents and their families. It shows our collective responsibility towards empowering communities in care provision and towards those living with dementia so they are able maintain a sense of identity for as long as possible. The Journal of Population Ageing Volume 10 Issue 1 is now available online. The new issue of the Journal of Population Ageing is a collection of articles focused on the Active Ageing Index. Speculation about the seemingly magical connection between longevity and classical music abounds. Is it the intelligence associated with this level of creativity? In a study of over 49,000 creative types, Anisimov and Zharinov (2013), write that “persons who listen to classic music have more chance to live longer”. They attribute this to the intriguing and persistent findings surrounding the cognitive capabilities of classic musicians. 12-18 June 2017 This year’s Creativity and Wellbeing Week will be taking place from 12-18 June and we’re looking for organisations, artists, clinicians, commissioners and thinkers to get involved. Our sixth festival will be structured around the life-course, exploring the different ways in which we can benefit from engaging with the arts throughout our lives. Each day will be dedicated to a section of the lifecourse, so we are encouraging organisations to submit events, performances, workshops, talks, launches and exhibitions to synchronise with this. A two day professional development workshop: Leading Dance with Older People and Dance & Dementia 4th & 5th April 2017 Back by popular demand Green Candle Dance Company is pleased to announce bookings are open for Moving into Maturity 2017, a course for those interested in leading dance for older people and dance for dementia. These CPD accredited training courses will be of interest to those who are keen to embed intergenerational approaches within their programme of work. Classes run by arts charity Create improve health and brighten lives but future of programme is threatened by social care spending cuts. Nottingham’s Imagine - arts and older people programme is offering an exciting training session for artists and staff working in the care sector. As part of the Imagine programme we have been exploring the use of iPads to create art with older people in care. Exploring current age-friendly thinking and practice in museums developed through cross-sector collaborations. An estimated 5.4 million Americans currently suffer from Alzheimer’s disease. Clinical trials and other research are in the works to figure out what causes it and what can potentially limit its effects. Music therapy is considered to be a method of dealing with Alzheimer’s, without truly treating or curing it. And there’s more work being done in the area of art therapy. This video from Bolton Dementia Support shows how you can do much for people with dementia without it costing a fortune. Back by popular demand Green Candle Dance Company is pleased to announce bookings are open for Moving into Maturity 2017, a course for those interested in leading dance for older people and dance for dementia. It has been shown that participating in arts activities is extremely beneficial for older people with dementia, improving such things as communication, memory, enjoyment of life and creative thinking. 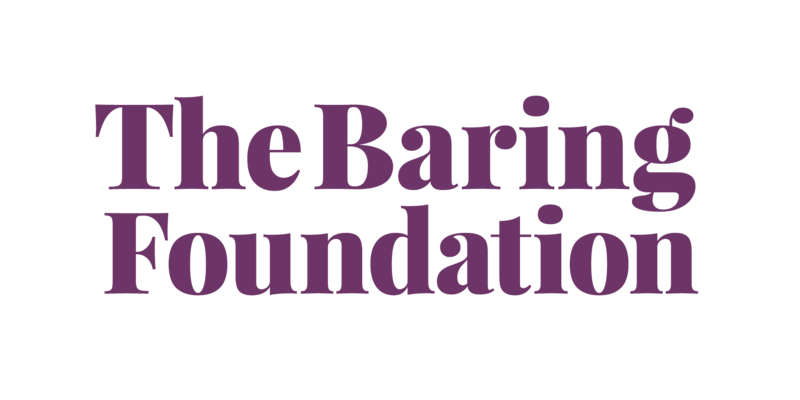 Read the Baring Report for more details. The Government-led Libraries Taskforce has published its ambitions for libraries citing their role in helping people live “healthier and happier lives” as a priority. A systematic review has shown that music and singing activities can enhance and maintain subjective wellbeing in healthy adults. He research by the What Works Centre for Wellbeing demonstrates a range of positive impacts on wellbeing on different groups of adults. Arts activities have been cited as a key tool in preventing dementia in guidance prepared for health commissioners. Group cognitively stimulating leisure activities including arts activities are declared as the only social intervention proven to work in helping to reduce the risk of dementia. This is a call out for applications to take part in an exciting opportunity open to Scottish-based artists in all artforms who are aged 50 and over and are in the early stages of a new artistic career. This report highlights key learning from the project, Creativity in Care, which included an artist’s residency, mentoring for activity co-ordinators and several training events. Research from Finland has shown that listening to music in the early stages after a stroke can improve a patient's recovery, speeding recovery of memory and attention skills, and generating a more positive general frame of mind. A postgraduate professional development programme for music educators delivered by Trinity Laban. New Master Of Arts Degree, Plus Our PG Certificate And PG Diploma.